Let's just break these down firstly and then take a closer look, because yes they are flat and they are lace up - but these shoes are also all kinds of awesome. Full glitter finish including the heels. Rose pink patent piping. 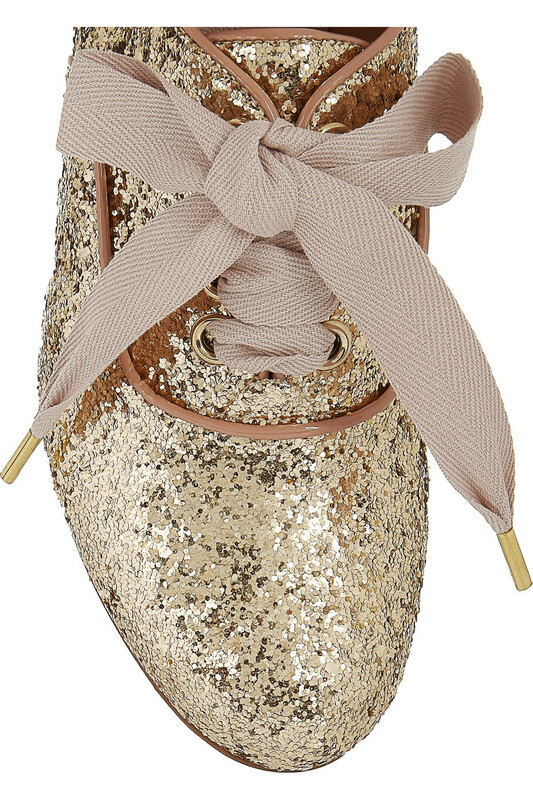 Wide ribbon style laces. 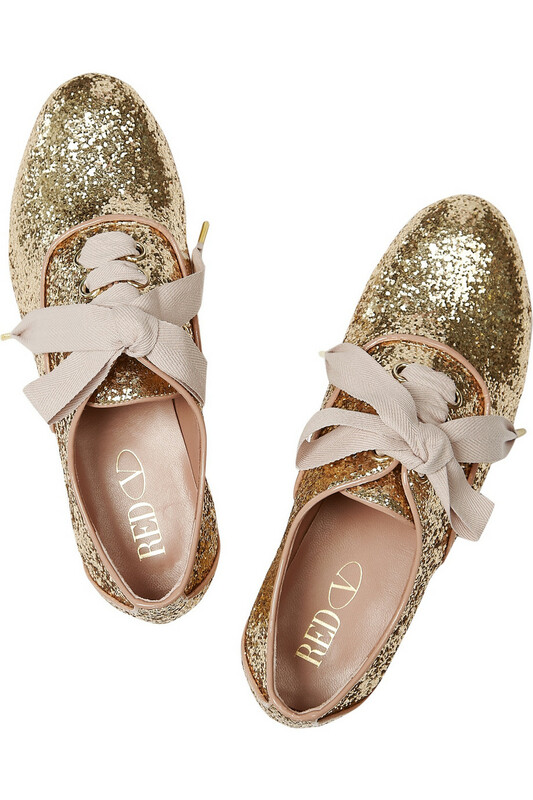 These shoes are no ordinary flats. Yes they are a little bit too close to tap shoes for some of you. For others of course this can be a plus. They are reminiscent of those worn of course by Columbia in the Rocky Horror Picture Show and perhaps that sways my fondness for them. More than anything else however they are fun. Without wishing in any way to touch on social rhetoric, sometimes we all just need to embrace something that's pretty and utterly superfluous to necessity. These shoes do that in spades. Love them. 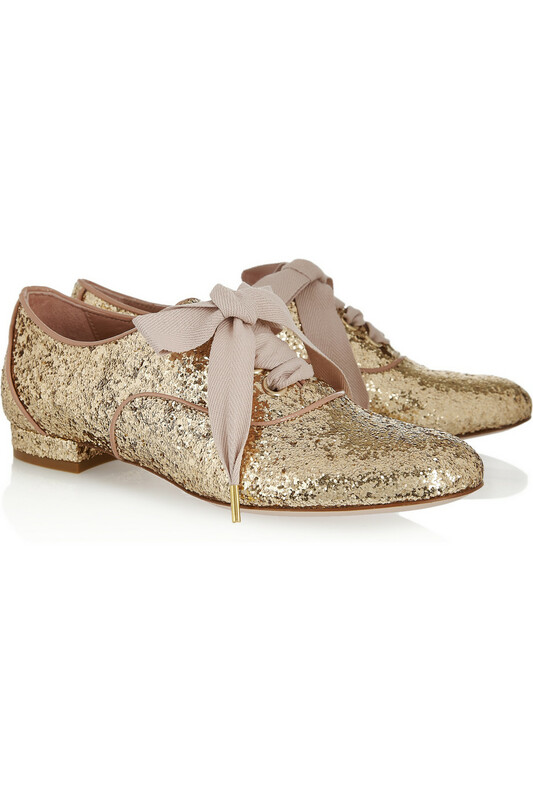 Plus they would be fantastic for dancing and you could keep going all night without killing your feet. Amazing.